If you are curious about how our webcam works, here is a technical description of the system that puts our view on your computer. This includes the camera, the mechanical stuff, the software that we used to put it together, and how we connect it to the internet. 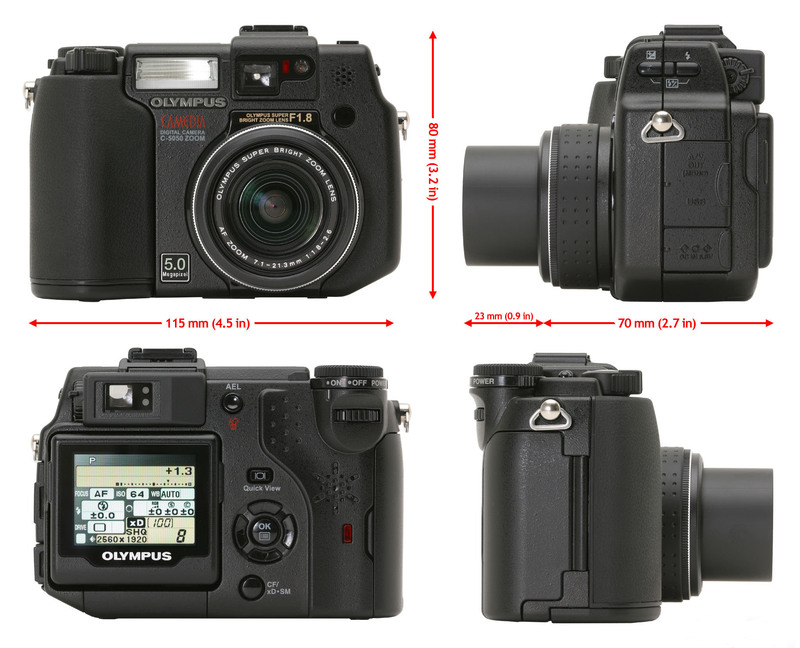 We are using an old Olympus Model C-5050 Zoom - 5 Megapixel digital camera. The lens is a - 7.1 ~ 23mm, F1.8 ~ F8 (Equivalent to 35 ~ 105mm lens in 35mm). It has a measured angle of view of 60° horizontal, and 45° vertical. This camera can be placed in the "PC" mode which allows all of its features to be controlled by software running on a personal computer through the camera's USB port. The camera gets its power from an AC Adaptor that is controlled by a 24 hour timer to only apply power to the camera during the time that I want it to be working. This also gives the camera a chance to boot up every day. 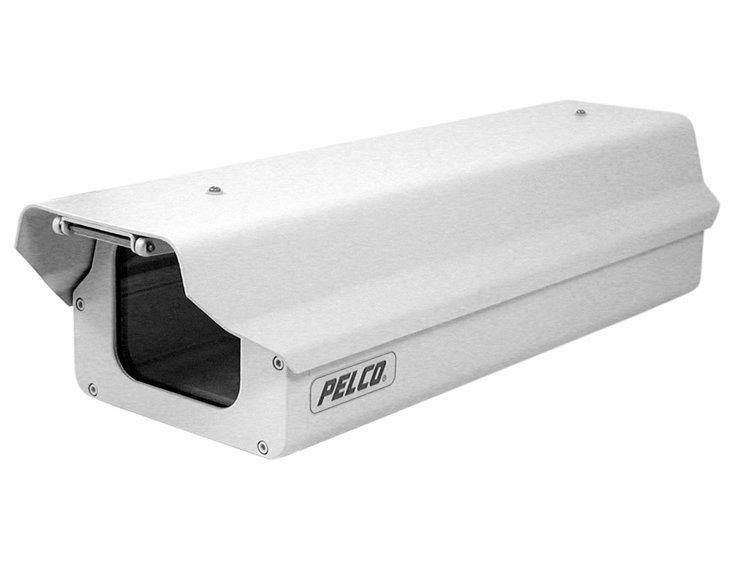 I started with a Pelco EH4718-1 environmentally controlled camera enclosure. This enclosure comes from Pelco with an internal fan, two heaters, and a window defroster. A thermostat is set to turn the fan on between 77° and 93°F and to turn the fan off between 62° and 78°F. Another thermostat is set to turn the heaters and defroster on between 42° and 58°F and to turn them off between 72° and 88°F. The camera is presently located inside the shop, about 6 ft high, looking out the South window over the tower and woodshed. I am in the process of testing it. When it is mounted to the tower, it will be 20 feet from the ground. The Webcam is operational daily and it updates every ten minutes from dawn to dusk. I try to leave the camera pointing at the same place but during the maintenance we might not get it exactly back to it's exact original position. In the spring and summer (about March to October), the camera azimuth points south (167°) and the altitude at -10°. During the In the fall and winter months (October to March) when the sun is low in the sky, I point the camera altitude lower (about -40°). This decreases the amount of sky you see but protects the camera from the sun burning the CCD. The Camera is connected from it's USB connection through a USB Extender, then through a shielded CAT-5 cable about 35 feet away to the second USB extender located in a cupboard in our shop. All the wires that run the camera power, heater, defroster, and the shielded USB cable are all routed through Liquidtite conduit from the shop to the inside of the camera housing. The software that I use to control the camera is VM95 from Erdman Video Systems. It used to be free for a limited feature set. It runs under Windows XP and provides complete control of the camera. Every ten minutes the software will capture a new 1024 x 768 JPEG image, add the overlay text and the date-time stamp to the image, copy a serialized image to the PC hard drive and then upload a compressed image (view.jpg) through our very secure router by secure FTP to our web server. 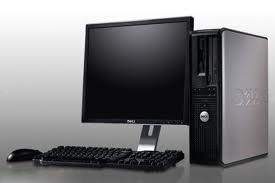 One of the features of this software is that it starts when the computer is turned on. I changed my computer CMOS Setup (Power Management) (PWRON After PWR Fail) from "Off" to "On". Now when the computer comes back on after a power outage, the computer will start, the camera will boot up, the software will start, and the system will start taking pictures and uploading them automatically. 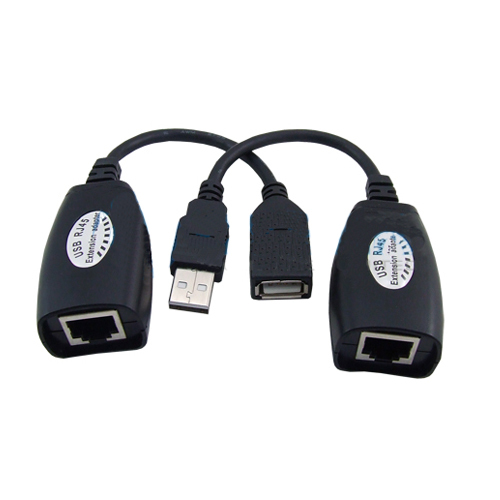 Our computer is connected to the internet with a 5.3 GHz wireless networking system. The providers antenna is located 4 miles away and the connection to the internet is typically 15 - 20 Mbps download with about 5 Mbps upload. CCD Damage: Because the camera is pointing directly south, it is exposed to the winter sun. The camera CCD will be damaged by the sun as it travels from left to right across the winter sky. The path of the sun can be seen in the results of this damage as pink arcs at the top of the image. During the winter, the sun gets lower on the horizon with its lowest point occurring on the winter solstice which is December 21st. At this location, that is about 20°. During this time the sun shines directly into the lens and burns the CCD. This problem starts in late October and runs about four months. I think that I have fixed this problem by manually pointing the camera down but there is more of our field showing than view and sky. That does not show off the great sunrises and sunsets that we have here. Here is a Solar Azimuth plot of the sun at our location and the program from the University of Oregon showing the Solar Azimuth at any location. Rain on the Window: At this location, when the wind blows hard from the south the rain is almost horizontal. With an average rainfall of 45.7 inches, it rains quite often. If the wind is blowing while it is raining there will be rain on the glass. If you have any questions or suggestions about our WebCam, please feel free to contact us!